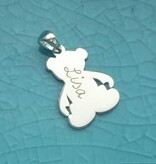 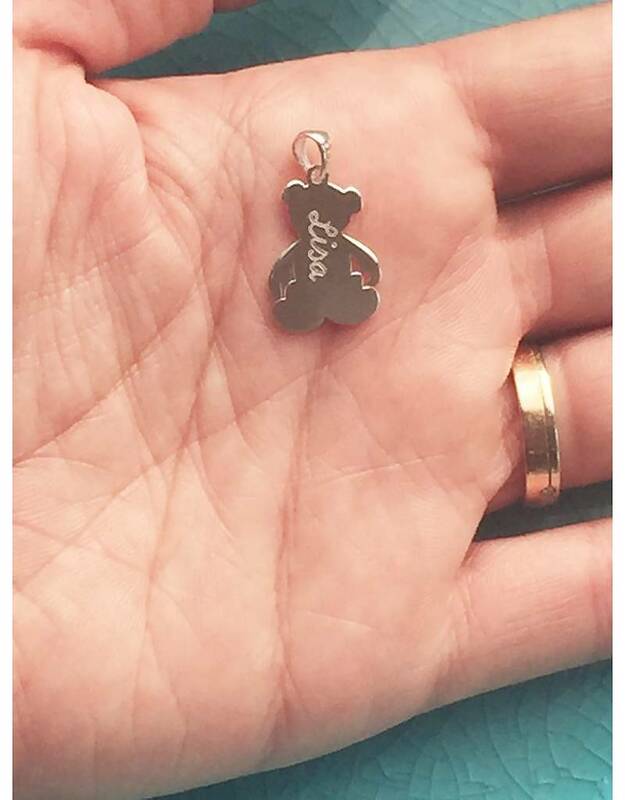 A gorgeous .925 silver charm with her name engraved on it. 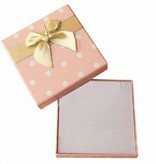 It will shine as she opens this giftbox. 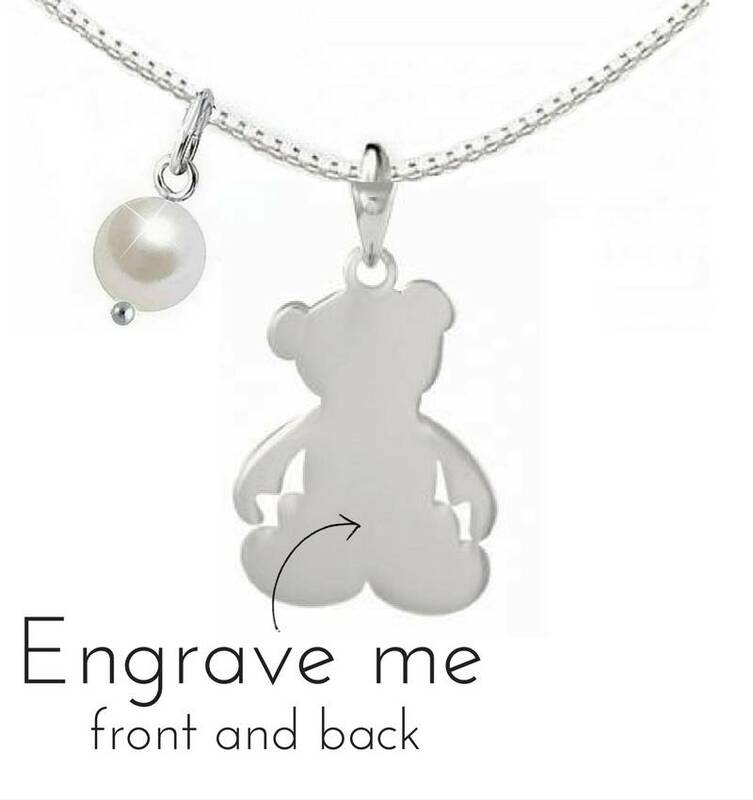 Including silver and freshwater pearl necklace charm. 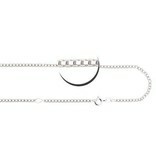 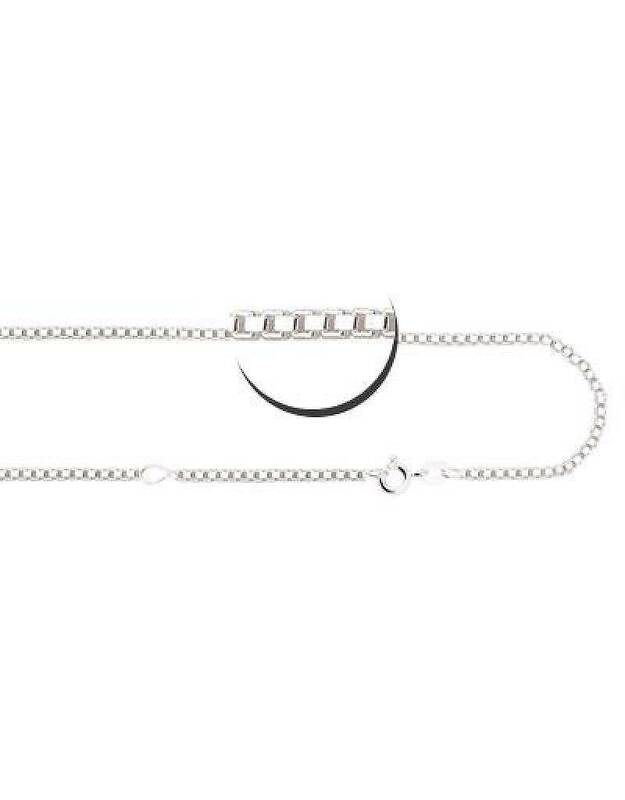 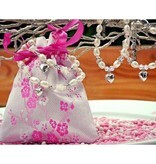 ♥ The necklace is 40 cm with an extra eye at 35 cm for younger children. 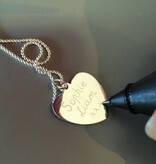 ♥ Made with love and hand made in our workshop. 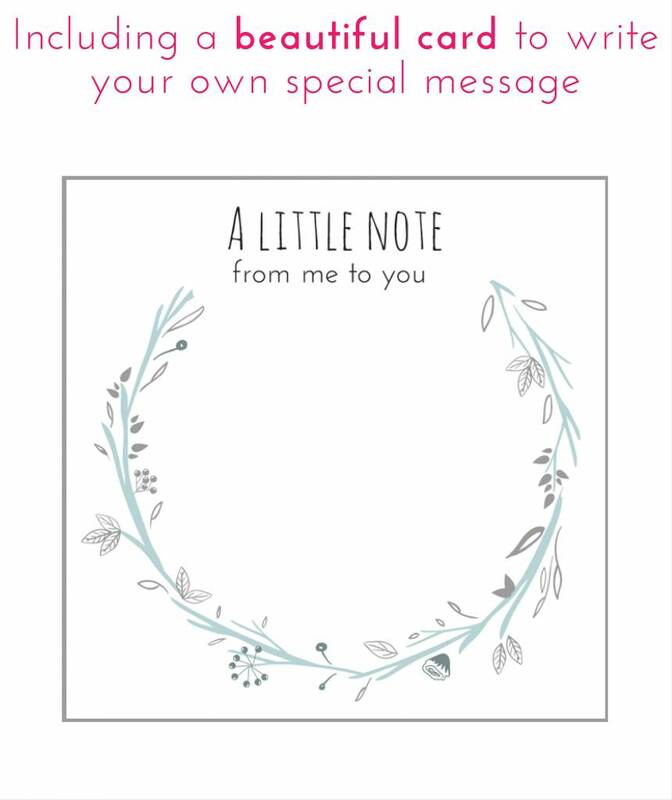 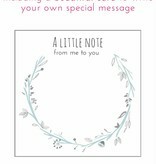 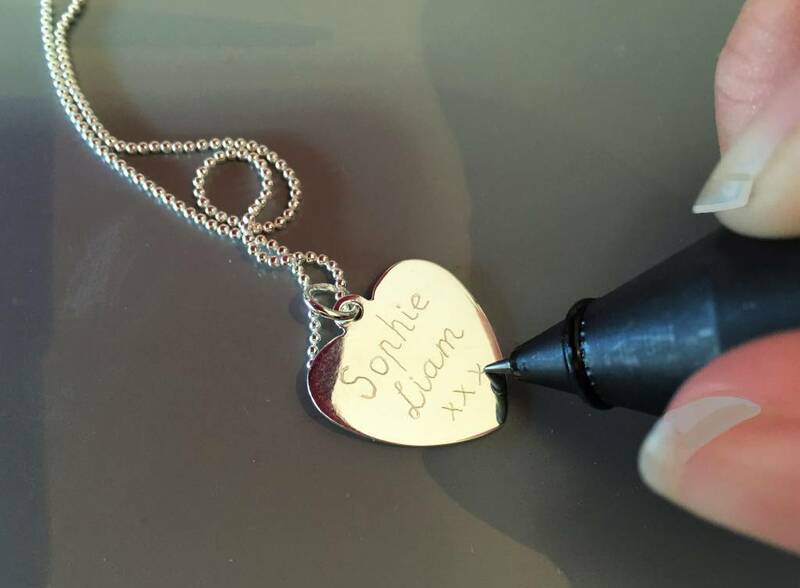 ♥ The charm is traditionally hand-engraved in our workshop with a marking pin. 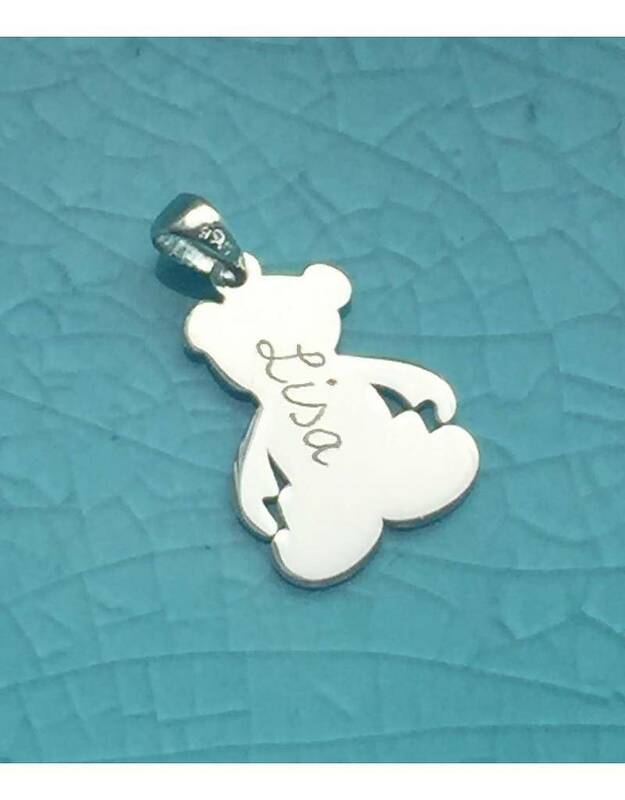 The pin is connected to a high-pressure device that ensures that you can engrave clear and deep. 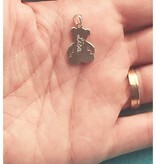 The engraving is not "mechanically straight or stamped", but literally 'hand-written' by Tanja. 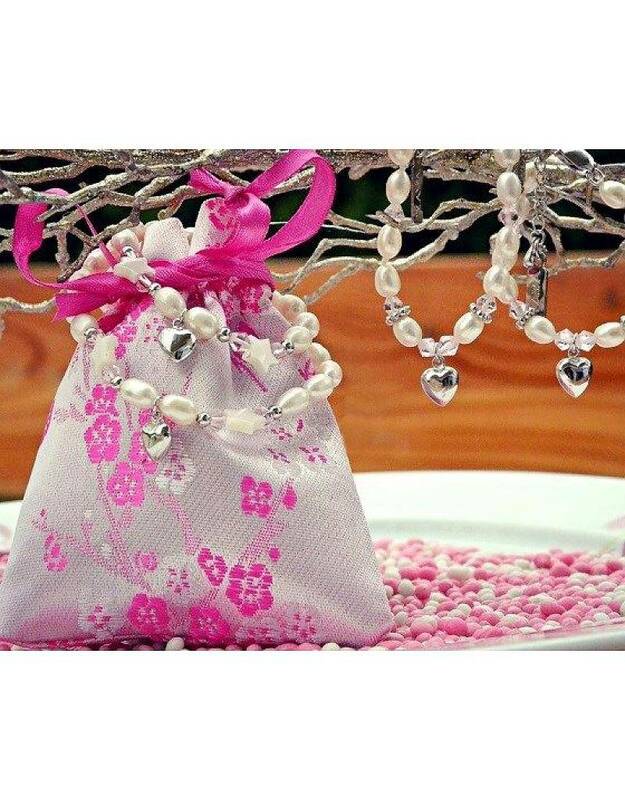 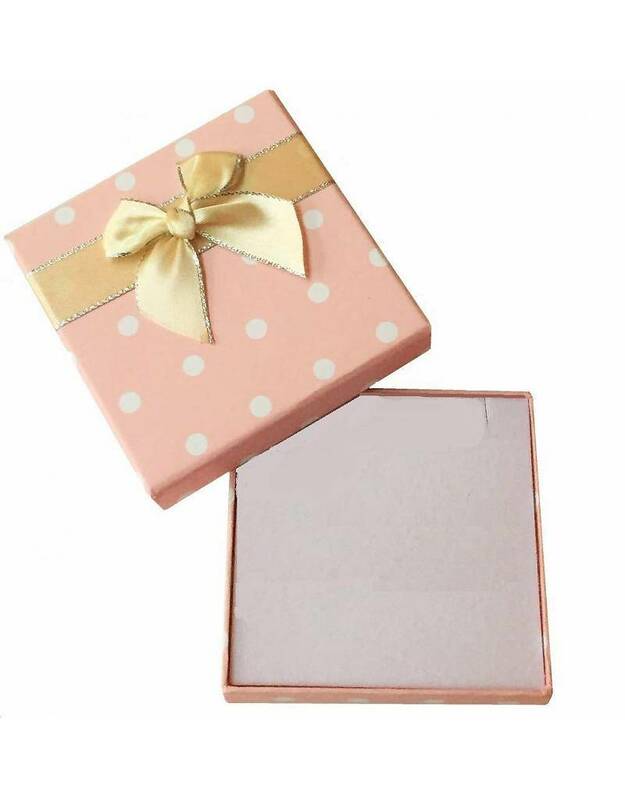 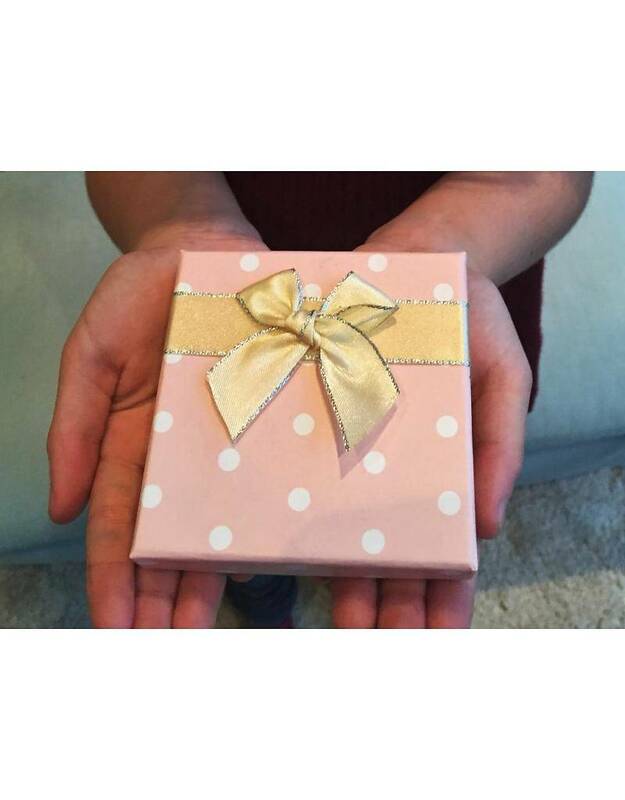 ♥ Luxury packed in a gift box with silver polishing cloth.